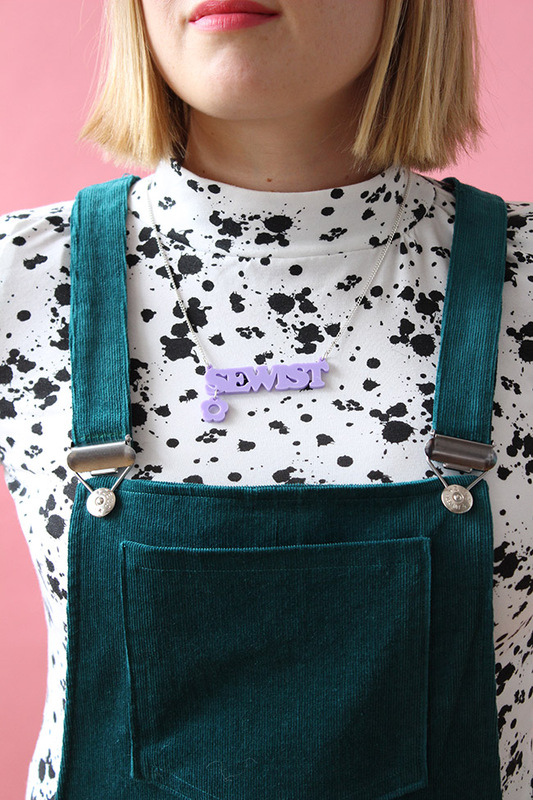 Have you jumped on the dungarees bandwagon yet? 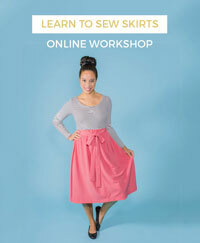 If you haven’t, these styling tips may persuade you to stitch this oh-so-versatile garment! 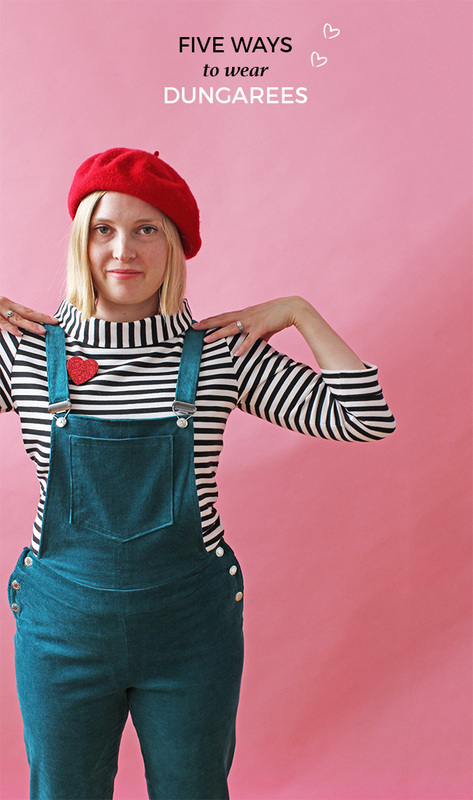 It’s Louise here, and I have been living in dungarees for years now – but I must admit it wasn’t love at first sight. Ever since I purchased my first pair, I have been playing around with styling my dungas to go from smart, to casual, to chic. 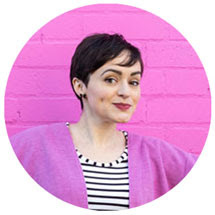 I wanted to look like a stylish grown-up and not like a children’s TV presenter (that’s the fear, right?). They are one of the easiest pieces to put on in the morning, as you have the main body of the outfit complete and just have to think about what to put underneath. 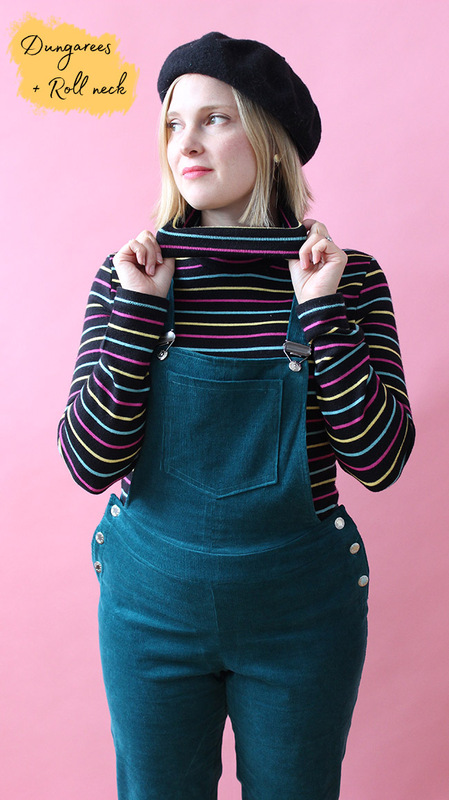 Dungarees work for all ages - you just have to find the styling that speaks to you and wear it with a big smile! 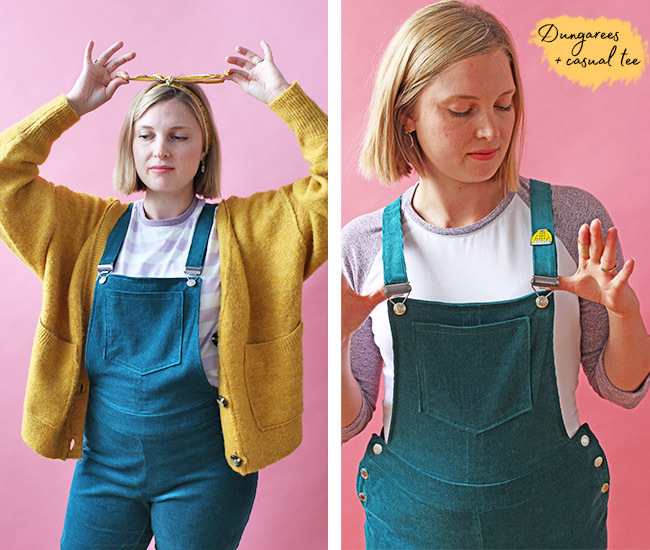 Our Mila dungarees sewing pattern has a slim, modern silhouette, that is perfect for every day wear. I made my Milas from a gorgeous petrol stretch needlecord from Bobbins n Buttons and opted for the classic buckles. My favourite pairing is dungas and a button-up shirt. The outfit instantly becomes smart and trendy while giving you a great opportunity to play with print. You can button up all the way, or leave some undone for a more relaxed look. Pop on a beret or neck tie for a super chic look and pair with ballet pumps. This look also works really well with a checked shirt for a casual look worn with trainers, or a bold print like my favourite RTW shirt (pictured) and some classic clogs. This is an obvious pairing, but a casual tee and dungarees go together like tea and biscuits. I love wearing my Milas with my Frankie baseball tee from Stretch! completed with a pin. When it’s colder you can chuck on a chunky cardie over the top and feel super snuggly. I know what you're thinking - what doesn’t go with stripes?! Wearing a classic stripe with dungas makes me feel like I’m skipping around in Paris looking for my next French pastry to devour. One of my favourite outfit combos is my Milas and funnel collar Coco top. It makes me feel like a fashionista! I like using accessories like brooches and neck scarves to complete my look. 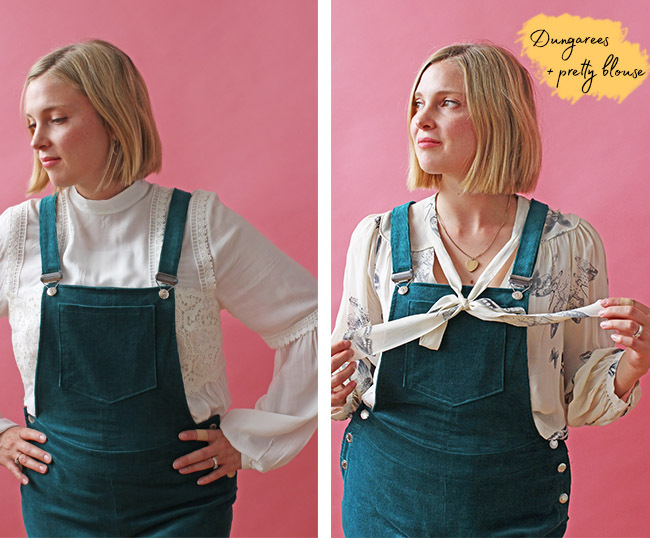 I like to wear unexpected combinations that challenge me to make use of all that my wardrobe has to offer, so I love matching a pretty blouse with dungarees, as the two actually work in harmony together. As the Mila silhouette is sleek, you can add volume with sleeves - and we all love a sleeve detail, don’t we? Try a blouse with lace trimmings, or a neck tie/pussybow to add a gorgeous element to your outfit. These RTW blouses have been in my wardrobe for years and have been given a new lease of life being paired with my Milas. 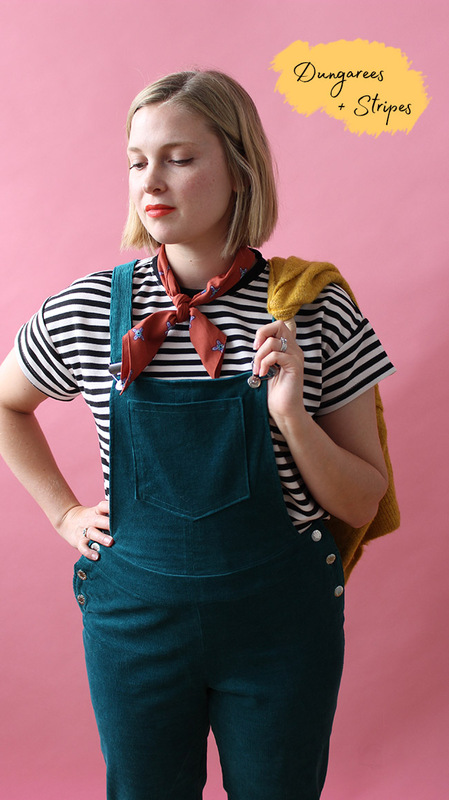 Now do you want to join the dungarees gang? I hope these looks have inspired you to test out new combinations and make dungas your favourite piece in your wardrobe. Comment below if you have any other tips or combos we should try.